Brand new from MXR – these are the EVH tones you’ve always wanted in a pedal! Categories: Jim Dunlop, Pedals & Accessories. Shred legend Eddie Van Halen has worked closely with the renowned design team at MXR to bring you the EVH 5150 Overdrive pedal. Packing all of Eddie’s instantly recognizable signature tones into a convenient stompbox layout, this extremely flexible overdrive gives you a full palette of powerful saturation and hyper-driven, tube-like tones right at your feet. The EVH 5150 Overdrive starts out with hand-adjusted multi-stage MOSFETs along with a highly-shapable control layout that can take you anywhere from EVH’s legendary early classic tones to his ultra high gain, super-articulate modern sound. Shape your volume and distortion levels via the Output and Gain controls, and tailor each frequency to preference with the onboard 3-band EQ. 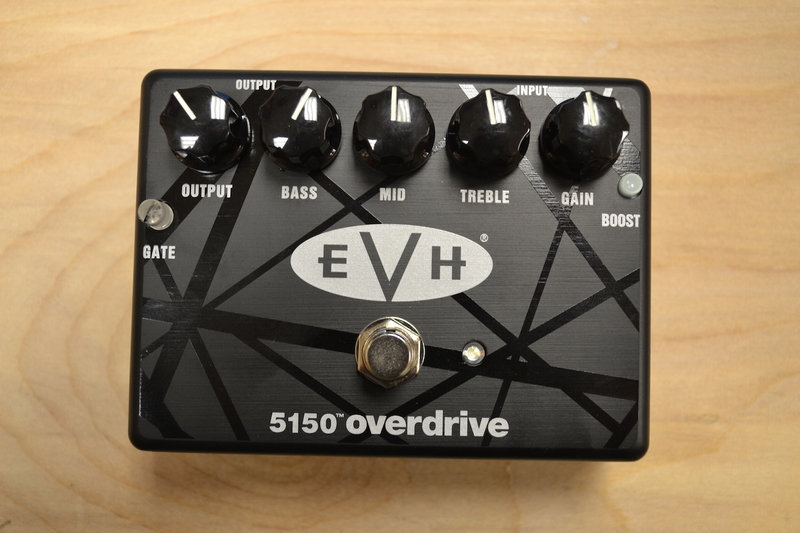 Need to kick the EVH 5150 Overdrive into high gear? No problem! The integrated Boost switch will take it up a notch with some extra gain and compression. To help combat any unwanted noise, the 5150 Overdrive pedal comes equipped with a built-in Gate control featuring MXR’s Smart Gate circuitry. The EVH 5150 Overdrive also features true-bypass, and is housed in a rugged package that sports EVH’s logo and his signature stripes in all black. Powered by a 9-volt battery or optional power supply.